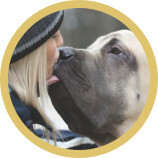 Proformance dog foods are formulated to the highest standards and produced from nature’s finest ingredients. Fortified with high quality meat proteins, egg and natural flavors, and produced without artificial preservatives, flavors or colors, Proformance dog foods provide complete and balanced nutrition and a taste your dog will love. Active Adult: Our #1 selling item. For active or outdoor adult dogs. Chicken & Rice Maintenance: For moderately active or overweight adult dogs. Lamb & Rice: The perfect combination: New Zealand lamb and American whole grain brown rice. Promotes healthy skin and coat. Pro Power: Our most powerful adult dog formula. For very active, working or pregnant dogs. Puppy: Highly palatable, highly nutritious. For small and medium breed puppies, to one year of age. Large Breed Puppy: Delicious Lamb & Rice formula for puppies that will weigh over 20 Kg at maturity. Freshway Holistic Chicken & Rice: Includes beneficial fruits & vegetables.